Tesla is taking its self-driving future into its own hands, which Elon Musk thinks will help usher the company into an era of fully autonomous vehicles in just two years. Musk predicted self-driving cars would hit the streets in the next two years. 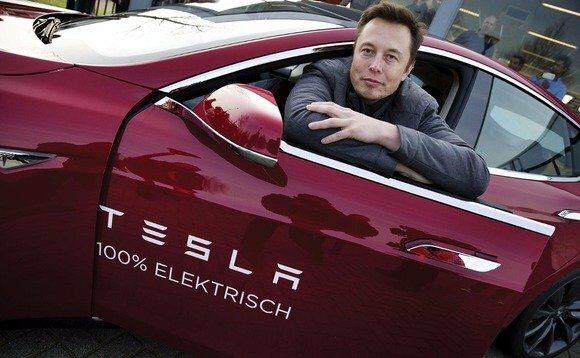 Musk confirmed the company has a team hard at work developing its own AI chips, which future Teslas will depend on in place of the Nvidia units currently used in the automaker’s all-electric vehicles. Musk dropped the news at a private company party in Long Beach, according to CNBC. The team is being headed by Jim Keller, a former AMD and Apple chip architect who helped to design the iPhone maker’s A4 and A5 processors. A Keller-led Tesla chip project was rumored back in September, but reports then claimed the automaker was working closely with chipmaker AMD to test the tech, which both companies denied. Musk said at the event that Tesla thinks the project will result in a chip that will be the “best in the world,” according to the report. The new processor is projected to cut down costs and reliance on outside suppliers like Nvidia while creating greater efficiencies and computing power by developing the hardware and software components in tandem, as with competitor Waymo’s specialized Intel chips. 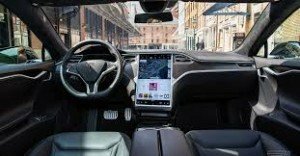 The new AI processor will be used to power the Autopilot system, which Musk projected will be able to handle fully-self driving tasks in two years and will be an order of magnitude better than humans in three, according to someone at the party. The statements are consistent with other claims he’s made in the past, so the chip project appears to be on schedule. We don’t know how close the new chip is to being ready for use in Tesla’s all-electric vehicles, and the automaker’s reps didn’t respond to our requests for more details about the project. @karpathy notes that he’s the software to Jim’s hardware, that one of his proudest achievements was in getting CS231n started at Stanford. Majority of audience have read his work or heard his lectures. @jekbradbury asks what’s missing in current AI tech and whether Tesla use open source existing stacks or custom. Jim notes the efficiencies gained by specializing and removing overheads between components. Elon/@karpathy note this can give 10x the power at a tenth the cost. Specifically that bottlenecks between the hardware and software can destroy much of the gains in a pipeline / integration – essentially Amdahl’s law but across a pipeline. The current iteration of Autopilot has been disappointing to many (most notably Apple co-founder Steve Wozniak) as Tesla has rolled out software updates for its HW2-equipped, Level 5 autonomy (full-on self-driving) capable vehicles throughout the year slower than expected. Elon Musk’s autonomous claims appear to be overblown at the moment, but the automaker’s brand new AI chip might finally deliver on the potential once it arrives — whenever that actually happens.